A special Memorial Mass was held at John Paul II Council on November 9, 2016 honoring our deceased members. The regularly scheduled monthly meeting was suspended for November so the Council could pray for our past Brothers and their families. 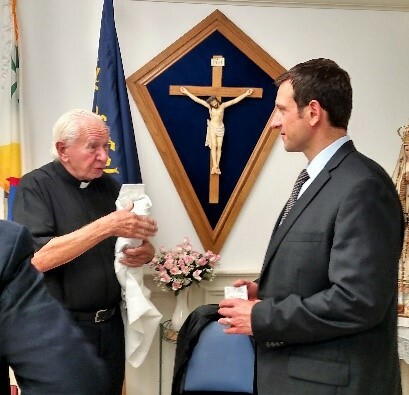 Father Majik (Retired) of St. Rose of Lima Priests’ Retirement Villa in Annandale was the celebrant for the mass. Father Majik led a packed Council home in the full Mass and afterwards passed out a number of prayer cards, various CDs and other religious material. The Council greatly appreciates Father Majik’s time and gracious gifts.